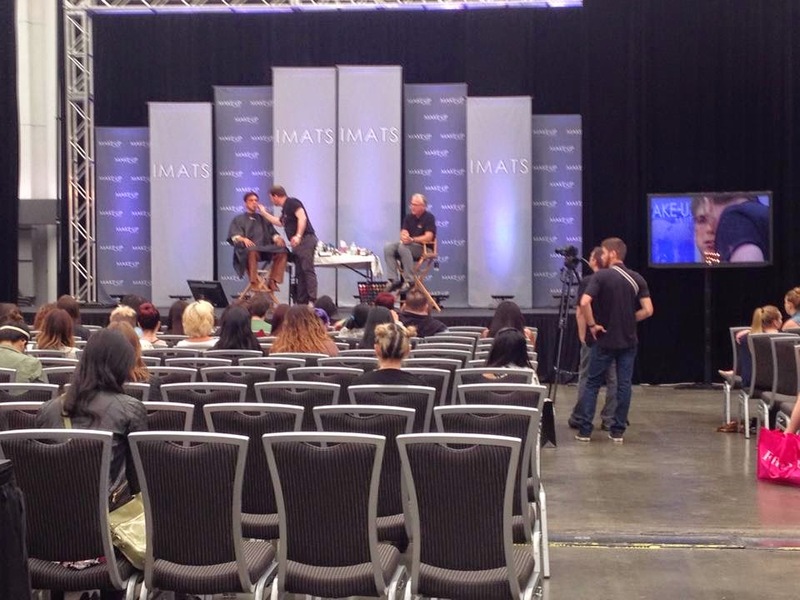 Hey guys, so yesterday I went to IMATS at the Vancouver Convention Center. I've been waiting for this all year! 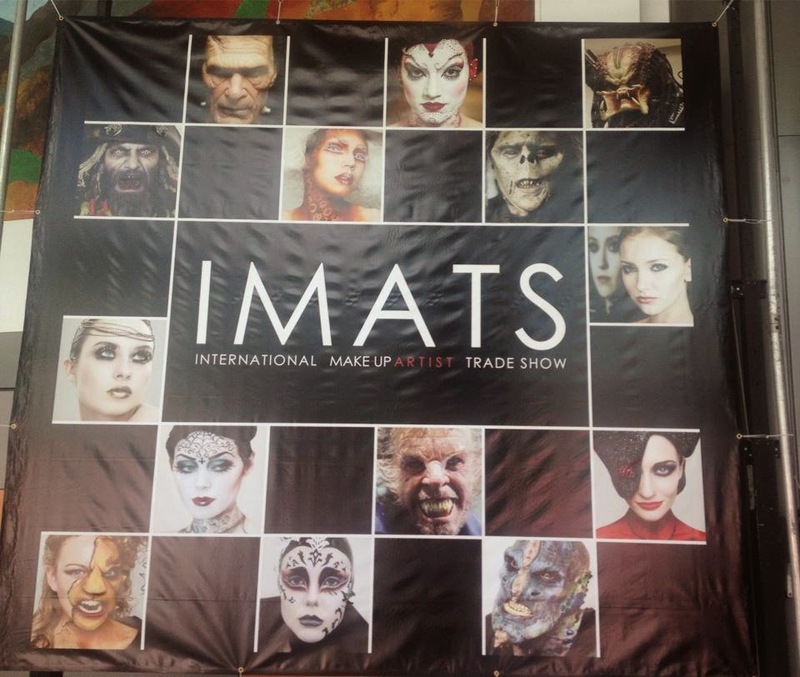 If you don't know what IMATS is, its an international Makeup Artist Trade Show. 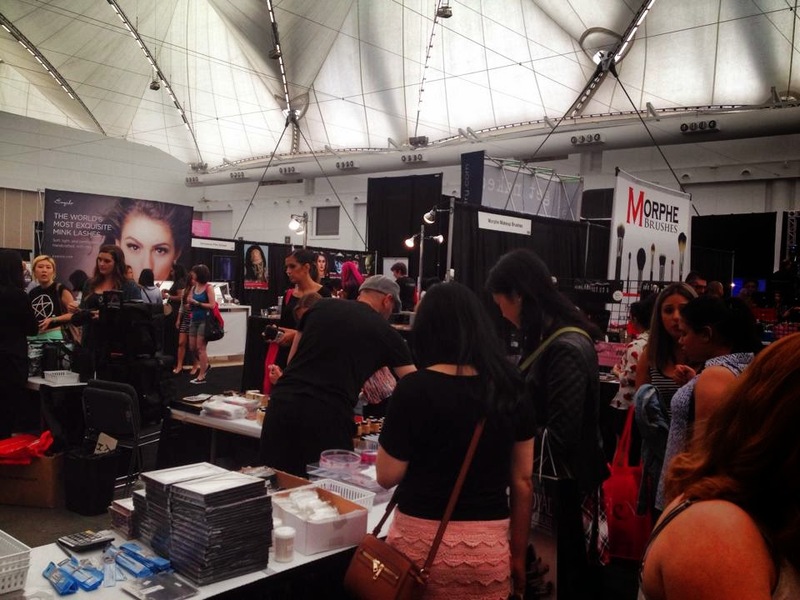 They have different companies with booths set up. They also have guest speakers, demonstrations, and much more. 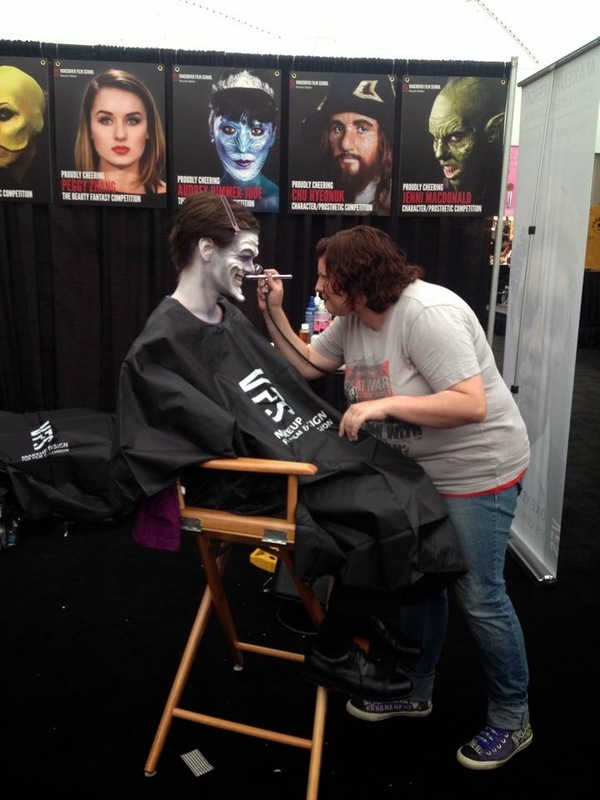 Its so crazy that my first post I did was on IMATS last year. So that means its been exactly a year since I started blogging. Time truly does fly by. So here are some pictures from the event as well as the things what I bought there. Me and my girlfriend standing by the Curlique booth. They had these cute summer blow up beach balls. If you took a picture with them and hashtagged #Mybiglove you had a chance to win a $500 shopping spree at their store. Ok.. now to what i bought. 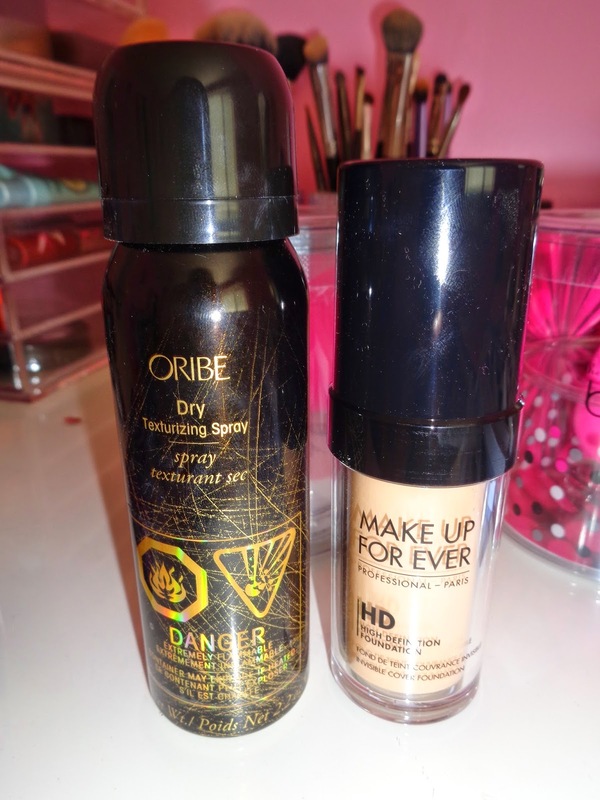 Beauty Blenders, Velour Lashes, Nigel Lashes, Makeup Forever HD Foundation & Oribe Texturizing spray. More lashes! These are by Velour Lashes. These are high quality handmade 100% Mink lashes. They look like eyelash extensions. They are long lasting, keep their shape and form and can be used up to 25 times. Where as synthetic lashes can be used around 5 times. "Our 100% natural mink hair is free from any chemical processing or dyes. Velour mink is collected from free-range zoos and recycled during the shedding seasons, it's then sterilized to ensure it is completely safe for use." Beauty Blender - Reusable sponge. This right here is a MUST HAVE. If you don't have it please go out and it get! This sponge makes your makeup look so flawless and perfect. You can use it wet or dry. I've been using the beauty blender for about 2 years now and I absolutely love it!! I got it from Sephora for $26. 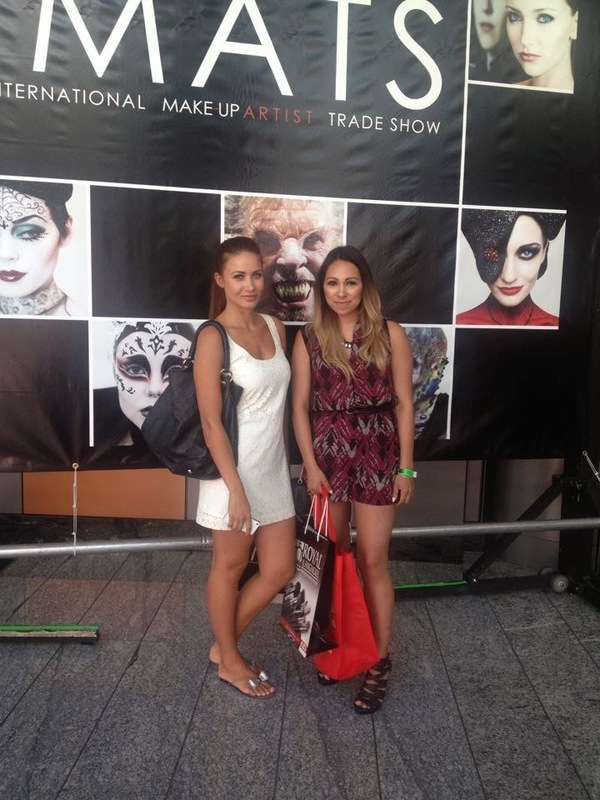 At IMATS they were discounted for 1 for $15. I also picked up this other amazing deal that you can see on the left. The Air.port which is a mesh travel pouch which stores and dries your beauty blender. It also came with 2 beauty blenders AND the Solid beauty blender cleanser. Ok so I paid $32 for ALL of this! That is a freakin' amazing deal if you ask me. Did I mention that the Solid cleanser is $20 at Sephora! So this was at the Nigel Emporium booth incase you were wondering. Makeup Forever HD Foundation - One of my all time favorite foundations. I have repurchased this a few times. Retails for $49 and I got it at IMATS for $33. I need volume for my hair! I am interested in trying that spray! How does it work? Is it easy to use? If I'm allergic to animal fur, should I steer clear of the mink eye lashes? Would they irritate my eyes?